Listen, listen, listen... to my heart's song... i will never forget you... i will never forget you. In this lunar New Year, a day dedicated by so many to love, i wished to share these resources and reflections with you on Metta - also known as Maitri, Loving-Kindness and Altruistic Love. Wishing you a day filled with Buddha Metta, in our living hearts, not of stone, but alive. How the practice of loving-kindness excels all other paths to a happy rebirth. Recorded by jtb on 18 Feb 2006 in Barre, Massachusetts, USA. Translated from the Pali by Bhikkhu Bodhi. From »In the Buddha's Words: An Anthology of Discourses from the Pali Canon, Bhikkhu Bodhi, trans. and ed. (Somerville: »Wisdom Publications, 2005). Text is copyright © 2005 Bhikkhu Bodhi. Courtesy of, and with permission from, Wisdom Publications, 199 Elm Street, Somerville, MA 02144 USA, »www.wisdompubs.org. Read a translation of this sutta by »John D. Ireland or »Thanissaro Bhikkhu. 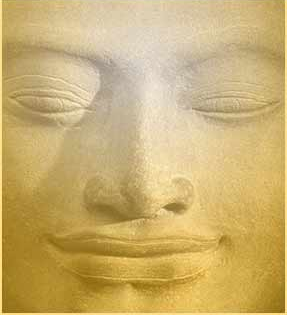 Click here for a selection of Dhamma Talks on Metta, Guided Metta Meditations, and Bhante Sujiva's Metta Book. "she who practices metta rests happily"
May I be free from stress & pain. Sabbe sattā sukhī attānaṃ pariharantu. 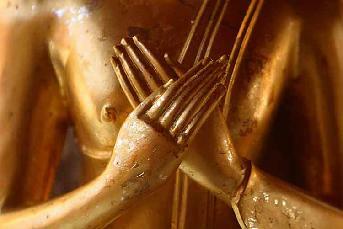 May all living beings be freed from all stress & pain. Sabbe sattā laddha-sampattito mā vigacchantu. May all living beings not be deprived of the good fortune they have attained. Sabbe sattā kammassakā kamma-dāyādā kamma-yonī kamma-bandhū kamma-paṭisaraṇā. Yaṃ kammaṃ karissanti kalyāṇaṃ vā pāpakaṃ vā tassa dāyādā bhavissanti. May there be every good blessing. May the devas protect you. May you forever be well.